Hey guys, so i had an idea for this winter for my pt. I figured since its gonna snow and all up here in MI (like it always does), I was gonna pick up a set of steelies, and run some Hella rally lights. Im thinkin of putting them in the lower half of the lower grill. Has anyone seen them on a pt? Does Hella sell universal mounting kits? I've looked around and havent really found much out there. Any help is appreciated. still nothin. I take that as a no? 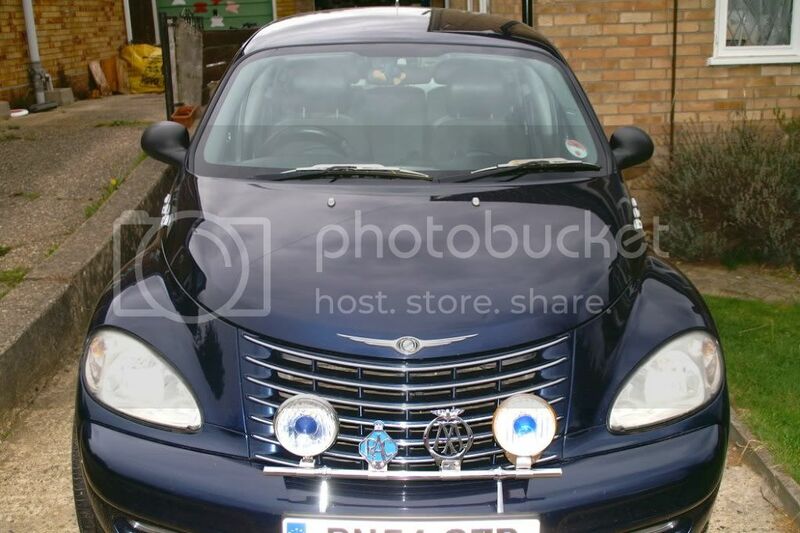 I was trying to find the picture, I saw a guy who bought what looked like a Harley light bar and mounted to his front bumper and added in the same lights you see on the S type Mini Cooper. If I can find the pics I'll post them here. As an FYI, these are the lights I'm mounting on my PT, soon as I figure out where. Mine are in chrome, should have got them in black. Oh, and don't you dare buy them from here, they are $40 more than what I paid for them! Last edited by Chromenut; 20 Oct 2011 at 05:11 am. which I never actually fitted since I took the lights off soon after this pic. Arthur- You got what im talkin bout. Im basically wanting to just mount them seperatley. Do you still have the lights? Yes, I still have them. Bulbs (for these particular lamps) are tough to find so I have ordered some LEDs that I want to adapt.